Located just 200meters from the famous Tolani College and close to the airport, this apartment-style accommodation with 3Star facilities is maintained on three floors of Jyoti Niwas Building. There are five road facing rooms with contemporary decor. Delicious home-cooked delicacies that are fixed Indian fare are prepared in the hotel’s kitchen, which is located on the fourth floor. 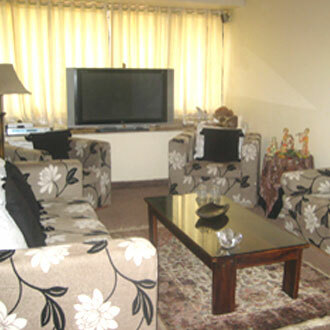 Guests can also avail the breakfast service and laundry facility, which are both on surcharge.